With the dead of a bitter Vermont winter closing in, evil is alive and well . . .
Frank Rath thought he was done with murder when he turned in his detective's badge to become a private investigator and raise a daughter alone. Then the police in his remote rural community of Canaan find an '89 Monte Carlo abandoned by the side of the road, and the beautiful teenage girl who owned the car seems to have disappeared without a trace. Soon Rath's investigation brings him face-to-face with the darkest abominations of the human soul. With the consequences of his violent and painful past plaguing him, and young women with secrets vanishing one by one, he discovers once again that even in the smallest towns on the map, evil lurks everywhere—and no one is safe. 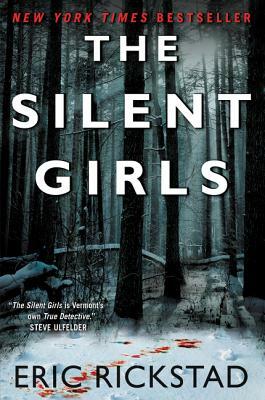 Morally complex, seething with wickedness and mystery, and rich in gritty atmosphere and electrifying plot turns, The Silent Girls marks the return of critically acclaimed author Eric Rickstad. Readers of Ian Rankin, Jo Nesbø, and Greg Iles will love this book and find themselves breathless at the incendiary, ambitious, and unforgettable story.